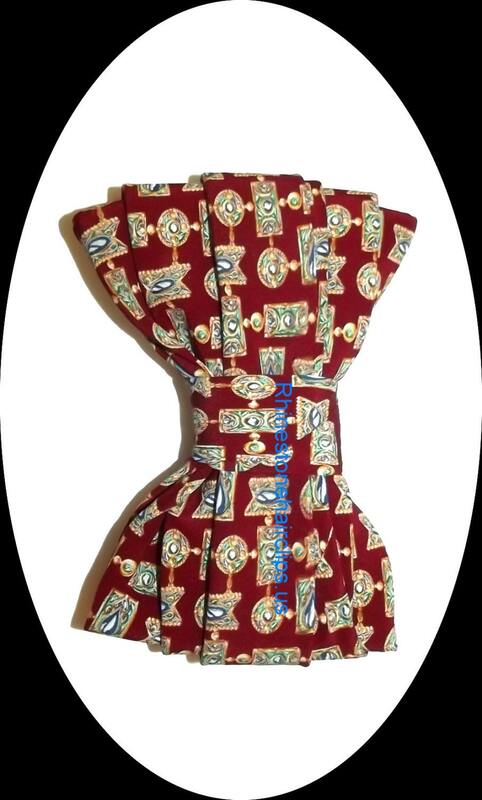 I have created this beautiful bow using a vintage neck tie. It is hand sewn onto a 3" french barrette. 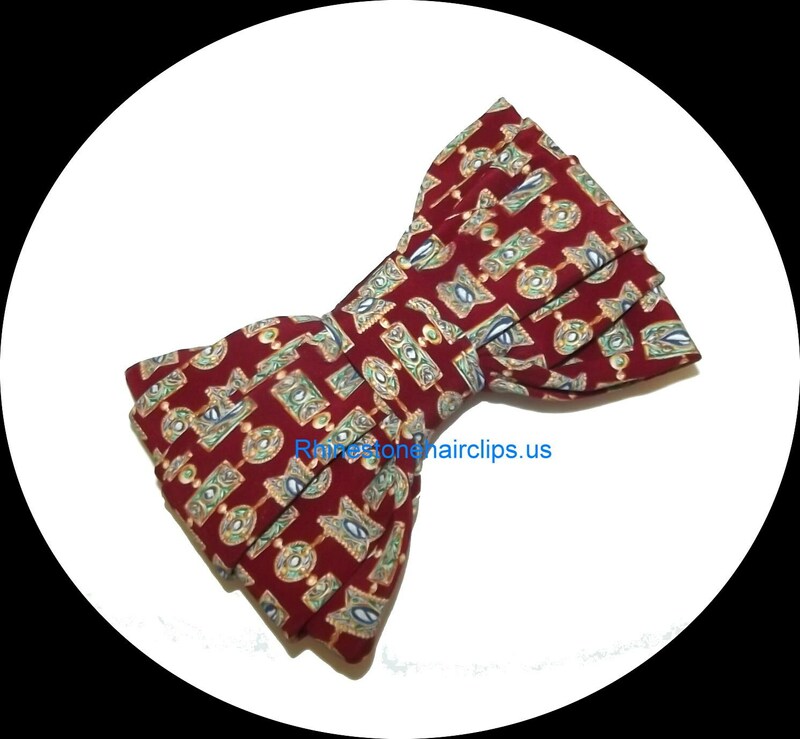 It is a dark burgundy with a pattern of teal and gold colored jewels. It measures 6" x 4"
Brand new - definitely gift condition<<<<----brand new creation using a vintage neck tie. I can ship internationally, but please request an invoice so I can figure shipping charges.